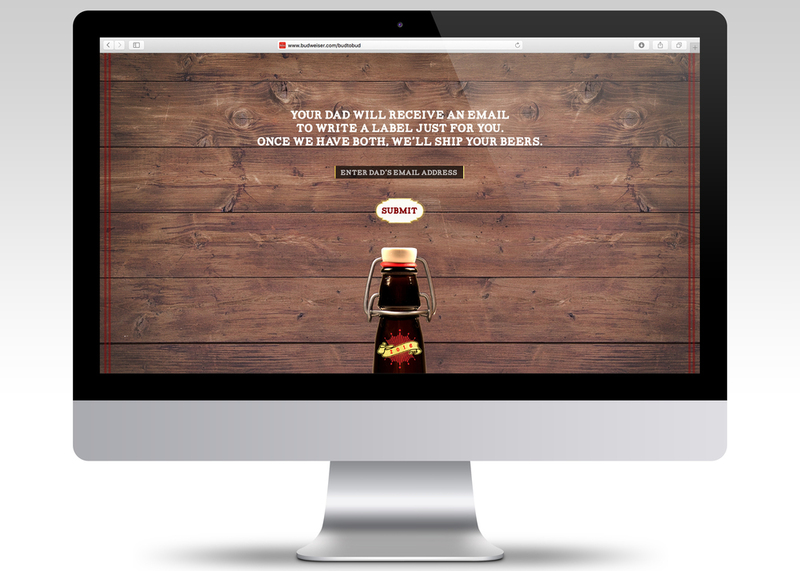 We were challenged to use a brand to solve a societal problem. So, we decided to take on toxic masculinity at two of it’s sources. 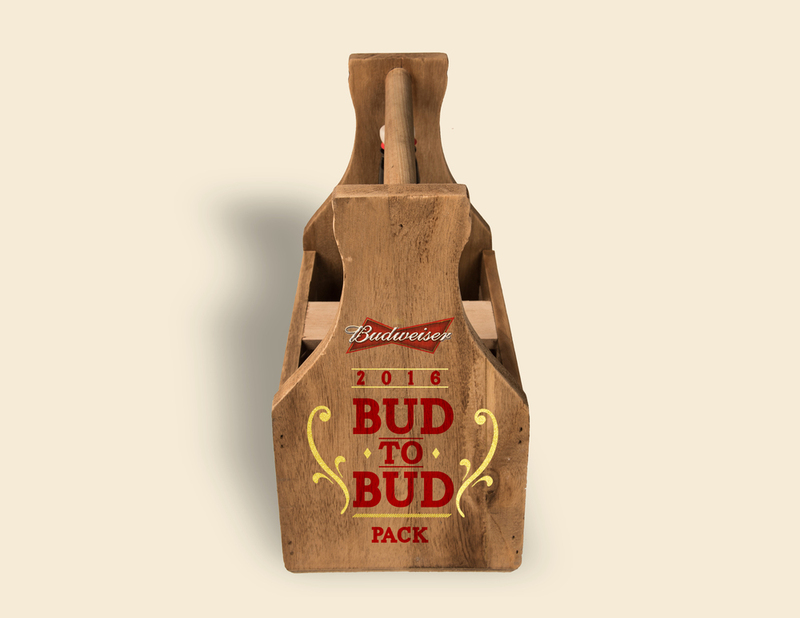 To help men, young and old, become more open to emotional situations we created a special two pack of beer designed to help a father and his son connect. We also created a way for fathers and sons to communicate when they just don’t have the strength to say how they feel. 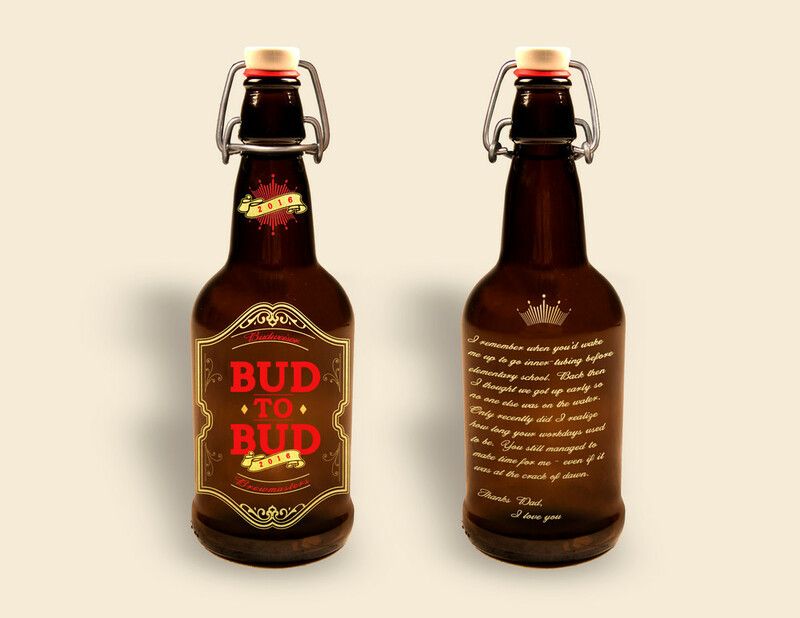 The “Bud to Bud” pack is a set of two craft beers with customizable labels for each to share something with each other. Targeted banners on popular men's sites will remind the viewer of what makes the other so special.